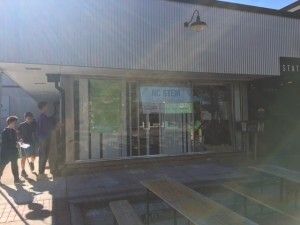 Local Projects is a branch from EWB at NCSU that focuses on helping the local community around and within Raleigh and NC State. 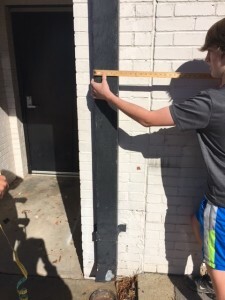 Using our engineering knowledge, while collaborating with professors and professionals, we are able to contribute to local organizations and groups through engineering projects. In the past we have helped several different organizations. Some of these projects have included going to the Piedmont Wildlife Center to replace their boardwalks located along their walking trails, improving accessibility of trails for visitors. On multiple occasions we have traveled to Exploris Middle School, located on Hillsborough street in downtown Raleigh. We have given the children presentations on SolidWorks and demonstrated the usefulness of the program in an engineering context. Additionally, we provided advice and assistance with a rainwater catchment system that the students were designing that would be constructed for the school. Recently, we have helped one of NC State’s organizations, The SOUL (Students for Organic, United Living) Garden. The SOUL Garden organization operates multiple crop beds beside Lake Raleigh on NC State’s Centennial Campus. With their help, we were able to establish a free flowing water catchment system that results in drip irrigation throughout their crop beds. 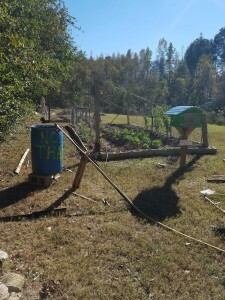 Overall, the SOUL garden is able to sustainably control the water distribution to their crops, even when not present at the site.